Going on 4 years ago I wrote two blog posts outlining what I thought were the best case and worst case scenarios for the five years from 2013-2018 in terms of developments in renewable energy. Given recent events in the United States I thought it might be interesting to revisit those posts and see where we stand at the 80% mark. In terms of the “best case” scenario I think it is fair to say that essentially none of the good things I had hoped for have come to pass. I wish I could say the same about the “worst case” scenario. 2013: I was concerned that there would be a major grid failure in Texas because of the variability of wind generation. That didn’t happen and the Texas grid has been remarkably stable despite some growing pains and the necessity to build a lot of new transmission capacity. The 18 GW of wind capacity in Texas has been stabilized by more than 5 GW of new Natural Gas generation commissioned since 2013, a lot of it in the form of Peaking plants that can respond to the variability of wind generation. However, the situation did come to a head in South Australia in the fall of 2016 where a large regional blackout was blamed (rightly or wrongly) on a rapid change in wind generation. 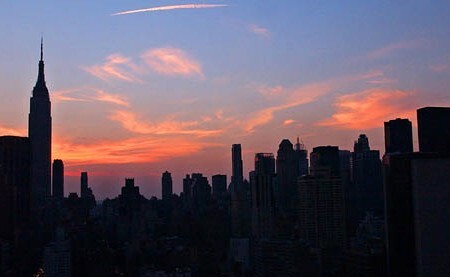 Independent System Operators such as AEMO and ERCOT in Texas are very concerned about grid stability and continue to take steps such as authorizing the building of new natural gas fired plants to address any concerns. However, that stability will become ever more difficult to protect as more and more renewables are added to the mix. This article by Gail Tverberg provides one of the most comprehensive summaries of current and predicted problems that I have come across. 2014: I suggested that the defeat of Angela Merkel in the general elections could result in a serious slowdown of the Energiewende. As it turned out Merkel was re-elected but the slowdown is happening regardless. Solar panel installations have slowed dramatically as shown by the graph below. Limitations have also been put on further development of wind energy and there is even the possibility that a significant number of existing turbines will be scrapped by 2020. In my worst case scenario I warned that the development of solar energy technology in Spain was at risk. Very sadly in my opinion the advances made by Spain with Concentrated Solar Power installations, which can provide power in the late afternoon and into the night using molten salt storage, have come to a halt. The burden of subsidies that were used to support this development as well as the deployment of a large amount of wind generation have simply become too great. Although Spain continues to generate an impressive percentage of total electricity demand from Wind and Solar very little new capacity is being added as of 2017. The last issue I discussed for 2014 was the probable closure of many coal-fired plants in the U.S. Moth-balling of coal-fired plants has taken place at a steady pace since 2013 due to concerns about CO2 emissions and the cost of meeting MACT regulations. Firm reserve capacity has not declined as quickly as I feared because there has been a “dash to gas” with the prolonged period of low natural gas prices. In my “worst case” post I stated that even relatively minor levels of roof-top solar panel generation would cause so many problems in Hawaii that measures would be taken to end net metering which would effectively end the solar “boom” in the Aloha State. Those concerns have largely been realized. Solar permits have continued their downward trend, reaching new lows in January and February, 2017. Net metering has been stopped which I believe was necessary. 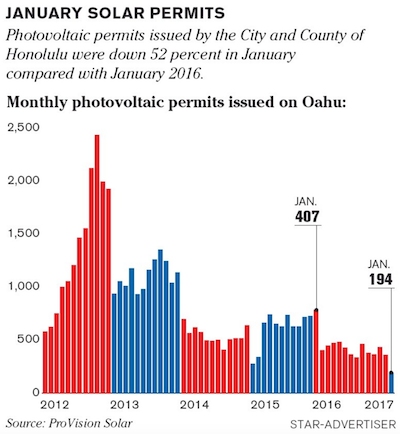 There is the potential for roof-top solar installations in Hawaii to stagnate or actually decline as roofs have to be replaced and the economic value of solar panels in Hawaii does not justify the cost of re-installation. In 2013 I felt that the cumulative impact of the short-sighted development of wind and solar would lead to major grid issues throughout North America by 2016 and would force major policy changes and the rapid development of natural gas fired peaking plants. That hasn’t happened yet. What I failed to take into account was that there was already enough firm capacity in the system to meet peak electricity requirements including a healthy reserve before the development of renewables began. As a result adding wind and solar has just produced a situation where generation far exceeds demand at mid-day and during very windy conditions in many areas. As Germany has demonstrated so well, coal-fired plants and natural gas-fired plants cannot be run profitably if they are only able to sell electricity when winds are calm and there is little sunshine. Economic pressures will mount, plants will close, reserves will reach critically low levels. The path taken by Denmark and Germany has also effectively “poisoned the well” for the rest of Europe. Germany and tiny Denmark use the European grid as a dumping ground for renewable energy at mid-day in the spring and summer and anytime when winds are strong. Conversely, Denmark and Germany import energy like there’s no tomorrow when winds are calm at night. Germany’s neighbours are now moving to build a technological “wall” around the country that was once part of the stable foundation of energy generation for the continent. Unfortunately I would have to conclude that we are measurably closer to the situation pictured above. The German Energiewende is grinding to a halt despite the constant greenwashing and attempts to minimize the growing problems. Solar is near its deathbed in Hawaii and other states such as Arizona and Nevada are following the same path. Energy storage is the problem. Energy storage has always been the problem. That’s why rural electrification wiped out the windmills that were once commonplace on prairie farms. But the good news is that energy storage is the only problem. With reasonably priced energy storage we could save up solar and wind energy when it is available and use it when we need it. Energy storage should have been the first problem we tackled, not left as a “homework” assignment to be completed at a later date. And I believe there is still plenty of time to develop workable energy storage solutions. But to do that we have to stop this senseless outpouring of public funds to support further wind and solar developments. And to get politicians and funding agencies to make the necessary policy changes the general public has to come to understand that the current approach has absolutely zero chance of being successful. The lobbyists for the wind and solar industries are not being truthful. Very sadly they have many allies in the form of well-meaning green energy advocates who fail to acknowledge that the development of wind and solar without energy storage is a fool’s errand. It will certainly make a lot of people rich but it will not transition our economy to use sustainable energy. There are a few voices that are saying, in effect, the renewable “emperor has no clothes”. Euan Mearns, Gail Tverberg, Paul-Frederik Bach – I would like to think that I myself am on that list. We are not pro oil & gas, we are not anti-renewables. Quite the opposite. We are simply trying to point out, through thoughtful, objective and evidence based analyses, that renewable energy development is not headed in the right direction. In 1881 French engineer Ferdinand de Lesseps, emboldened by his successful construction of the Suez Canal, initiated excavation of the Panama Canal. Eight years later the company sponsoring the project went bankrupt. About $400 million (in 1881 dollars!) vanished, poured into the muddy channels of the Culebra Cut and Gatún. Far more devastating were the deaths of more than 22,000 workers. Twenty-five years later the Americans successfully completed the project. Better equipment and organization were important factors that led to that positive result. But the key to the successful completion of the Panama canal came in the form of simple metal cannisters strapped to the backs of 4,000 members of the “mosquito brigades”. The French had not been defeated by engineering difficulties. They were overcome by a tiny but lethal enemy. The Americans correctly identified the single most difficult problem they had to overcome in order to complete the Panama Canal. They had to keep their workers healthy. 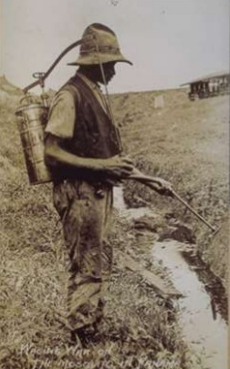 Before the steam shovels started working a year-long war was waged against the mosquito. Buildings were fumigated, ditches and ponds were sprayed repeatedly or filled in. When work finally began there were still cases of malaria and yellow fever but not to the extent that the project was ever in jeopardy. “Start off the development with the most difficult elements of the design” – Elon Musk. Such a simple and logical statement. And yet we keep ignoring it. Making the transition to a sustainable energy environment will not be cheap and it will certainly not be easy. But it is absolutely necessary. When will we start spraying the mosquitoes?